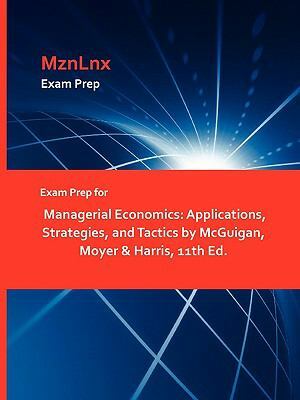 Exam Prep for Managerial Economics: Applications, Strategies, and Tactics by McGuigan, Moyer & Harris, 11th Ed. McGuigan, Moyer &. Harris is the author of 'Exam Prep for Managerial Economics: Applications, Strategies, and Tactics by McGuigan, Moyer & Harris, 11th Ed. ', published 2009 under ISBN 9781428873155 and ISBN 1428873155. Loading marketplace prices 109 copies from $35.26 How does the rental process work?